Floods and landslides in Indonesia have now killed at least 59 people, the government said Friday, after heavy rain pounded Sulawesi island and forced thousands to flee their homes. “I’ve never seen something this bad — this is the worst,” Syamsibar, head of South Sulawesi disaster mitigation agency, told AFP, adding that 25 people were still missing. Lashed by the heavy rain, rivers swelled and burst their banks, inundating dozens of communities in 11 districts of southern Sulawesi. Parts of the provincial capital Makassar have also been affected. Gowa district suffered the heaviest casualties, with 44 people found dead, said Syamsibar, who like many Indonesians goes by one name. Some 3,400 people have been evacuated from their homes and given refuge in schools, mosques and tents. Rescuers and residents waded through streets filled with waist-deep water, some carrying their possessions above their heads. “I couldn’t save all my belongings, my house was swept away,” Makassar resident Ayu Fiskarina told AFP. Authorities say floodwaters are receding but the impact of the disaster has ranged far and wide, damaging houses, government buildings, schools and bridges. The death toll stood at 30 on Thursday evening. 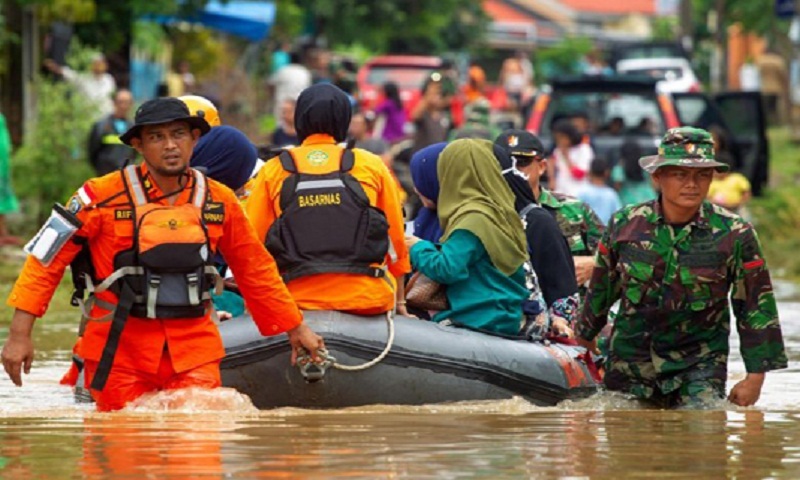 Landslides and floods are common in Indonesia, especially during the monsoon season between October and April, when rains lash the vast Southeast Asian archipelago. In October, flash floods and landslides killed at least 22 people in several districts across Sumatra island.